We’re excited to welcome you to the Scalar community! To get started, just sign up for a Scalar account and begin creating a project. 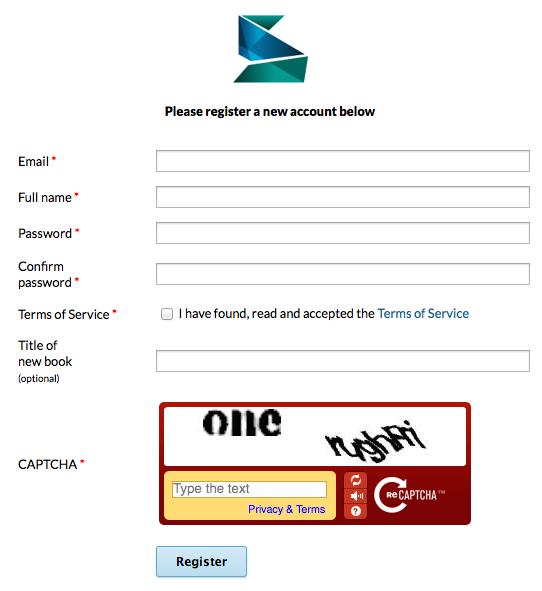 To get started using Scalar you’ll need to create an account on our registration page. Registration is quick and easy; all we ask for is your name, email, and a password. 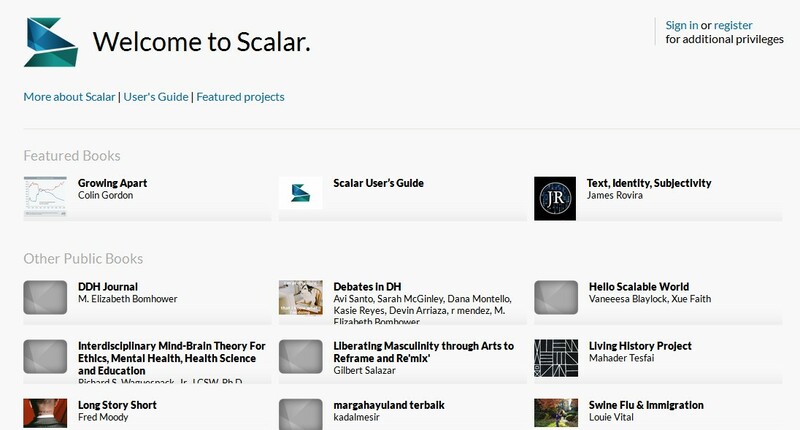 Every installation of Scalar has an Index page which lists all books which have been made public by their authors. If you’re signed in, you’ll also see all of the books you have privileges to edit, whether they’ve been made public yet or not. Scalar’s source code is released under the Educational Community License v2.0.